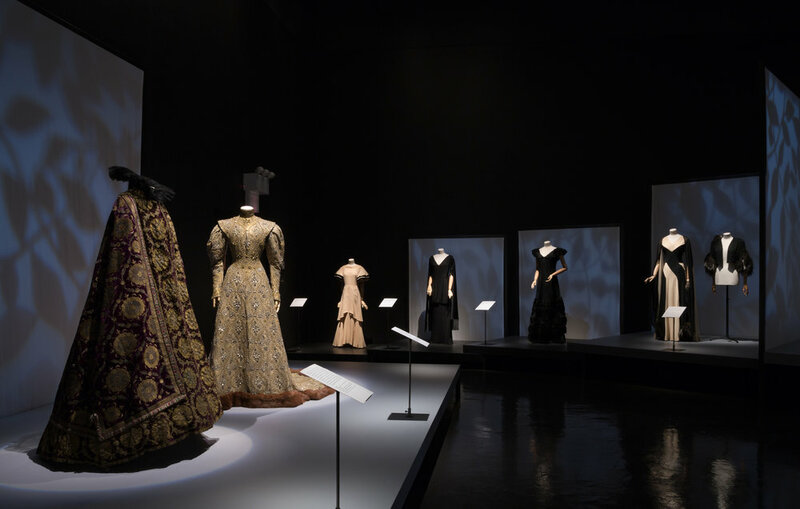 This unique exhibition included thirty gowns owned and worn by the Parisian Countess Greffulhe and had never before been shown in the United States. 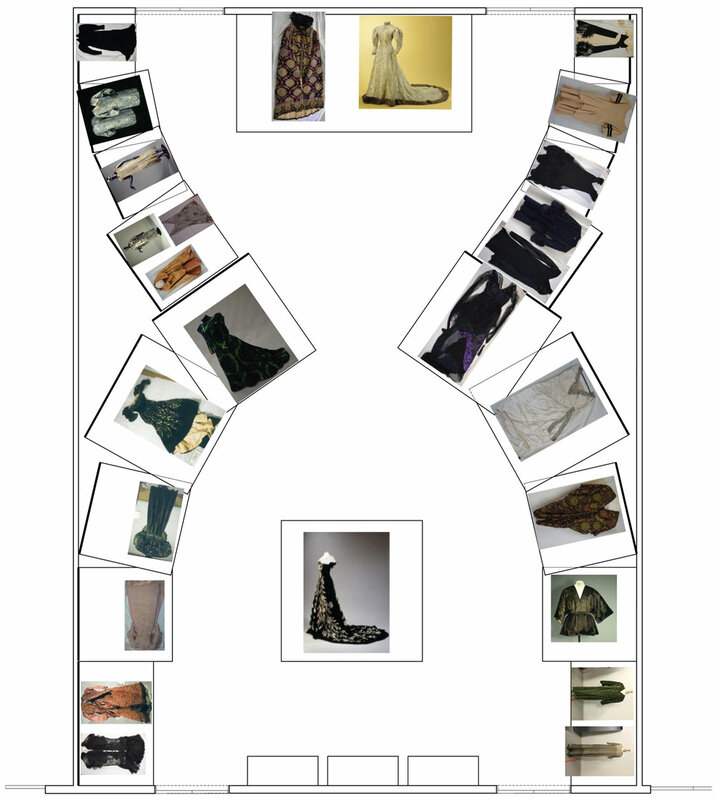 Each object needed to be showcased and certain gowns were required to be laid flat and viewed through an angled mirror. 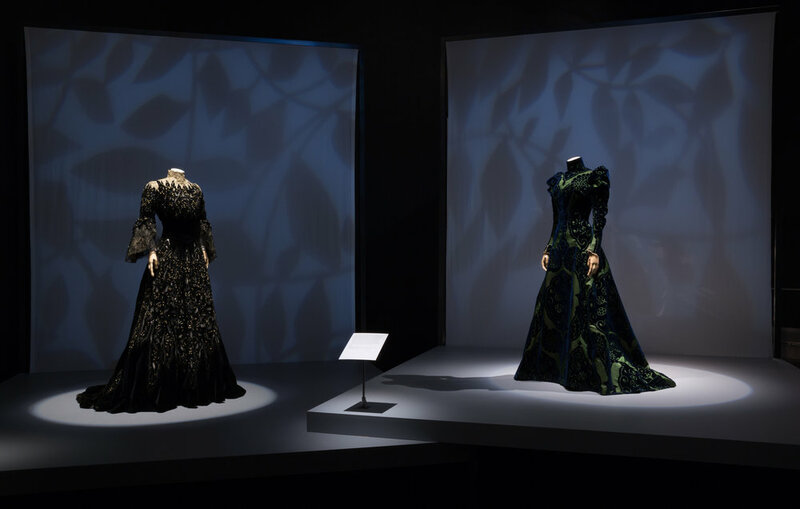 The initial design concept was to place one gown per platform arranged in an hour glass shape. 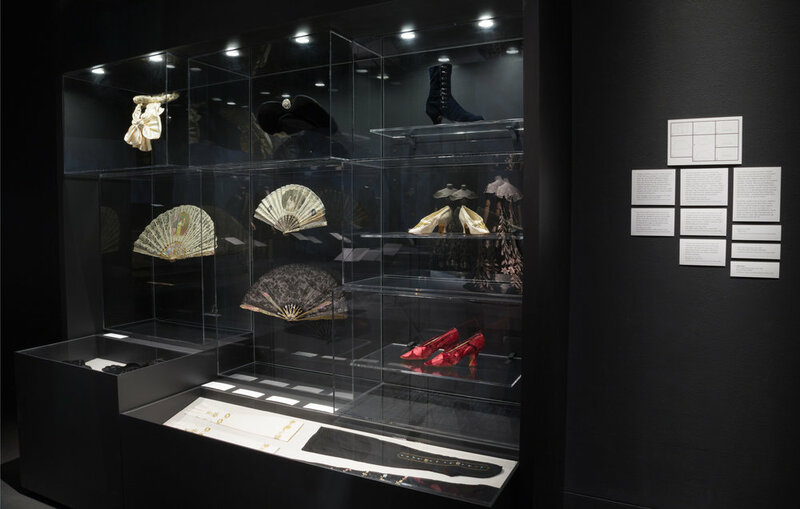 The platforms supporting the similar to a grand escalier or spiral stair. 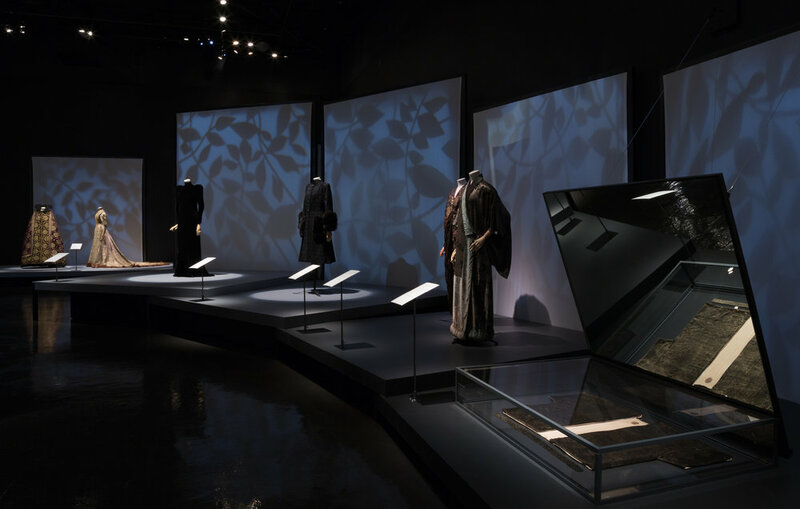 The center of the gallery featured the well-known "water lily" gown that was further memorialized in a famous photograph by Paul Nadir.